Aku, the shape-shifting master of evil, devastates a young boys land, forcing him to travel around the world to train as a samurai. When Samurai Jack returns to free his people, he is instead flung into the far future, where he must quest to undo the future that is Aku. Jack befriends some talking archeologist dogs and learns of his location: In the future shaped by years of Akus evil reign. He vows to help the dogs gain their freedom from a life of enslaved jewel mining. Aku learns of Jacks arrival in the future, and of the help he is giving the dogs. He sends a huge army of insect drones to destroy Jack and the dogs alike. Jack has been busy preparing many traps for them however, and when they arrive the battle begins in earnest. Jack comes into contact with a tribe of creatures who utilize their technology to subdue a group of supposedly savage beasts called Woolies. Little does Jack know, there is more to the situation than meets the eye. Samurai Jack befriends a future community building a spaceship to escape Akus tyrannic rule. Jack agrees to assist in their escape by fighting off the blockade orbiting the planet in return for a trip through time back home. 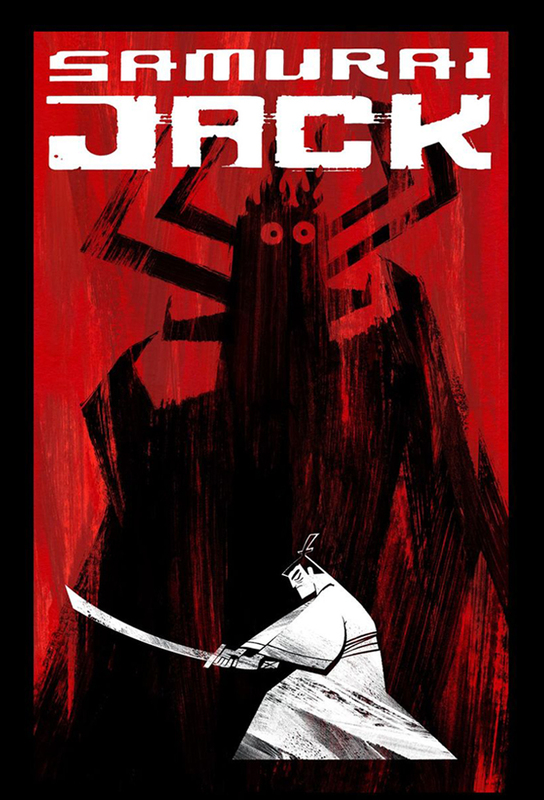 Samurai Jack hears of a mysterious island which possesses a well that can grant any wish. He arrives at the island and discovers the well is not alone. Aku places a bounty on Jacks head, but is disappointed by the failure of some inept hunters, so he creates an evil spirit-clone version of Jack to finish our hero off for good. Jack hears tales about a race of amphibians living in an underwater city who have a time machine. He searches them out, and they agree to let him use the machine, but the creatures have not been entirely truthful. Called on by a mysterious voice, Jack overcomes many obstacles and booby traps to find who is calling him. Deep in the earth he finds it is a creature made from rock and lava, who immediately challenges Jack to a fight, but why did it call for Jack? When Jack and a Scotsman meet on a seemingly never-ending bridge, they end up shackled together and on the run from bounty hunters. Jack joins a group of gangsters who work for Aku. He also agrees to help steal the heavily protected crystal that can give Aku power over the whole planet. Fortunately Jack has not become a traitor, but has his own plans of how to hand over the swag. The tales of Jacks adventures have spread far and wide, and children are having fun acting out the stories. Aku, in an attempt to keep the children in line, decides to spread a few stories of his own.